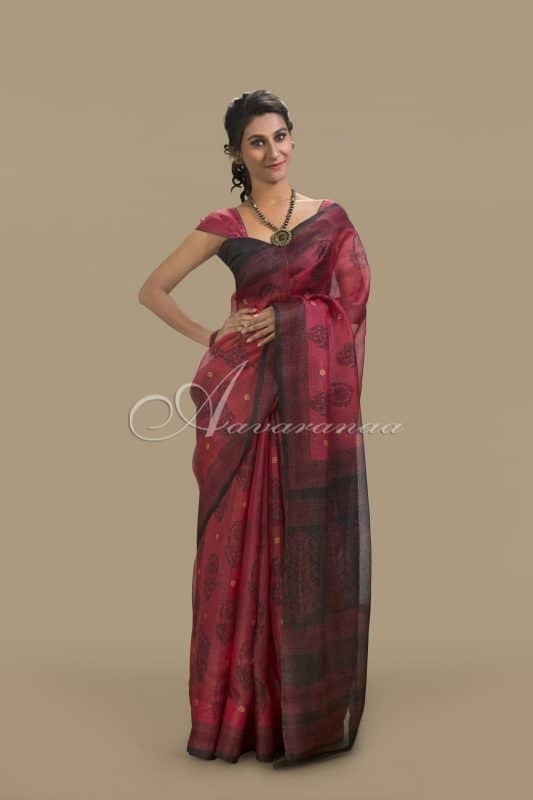 Super light pure tussar kota saree in red & black combination. The saree has been beautifully hand block printed with black and golden kadi print all over. The black pallu is embellished with hand block print.